(64804) – Joplin News First friend, James, sent Shannon Becker a text Tuesday, “serious felon, lots of [ 💩] about to go down I think”. When we arrived most of the JPD SWAT had assembled at E 32nd & Missouri Place. 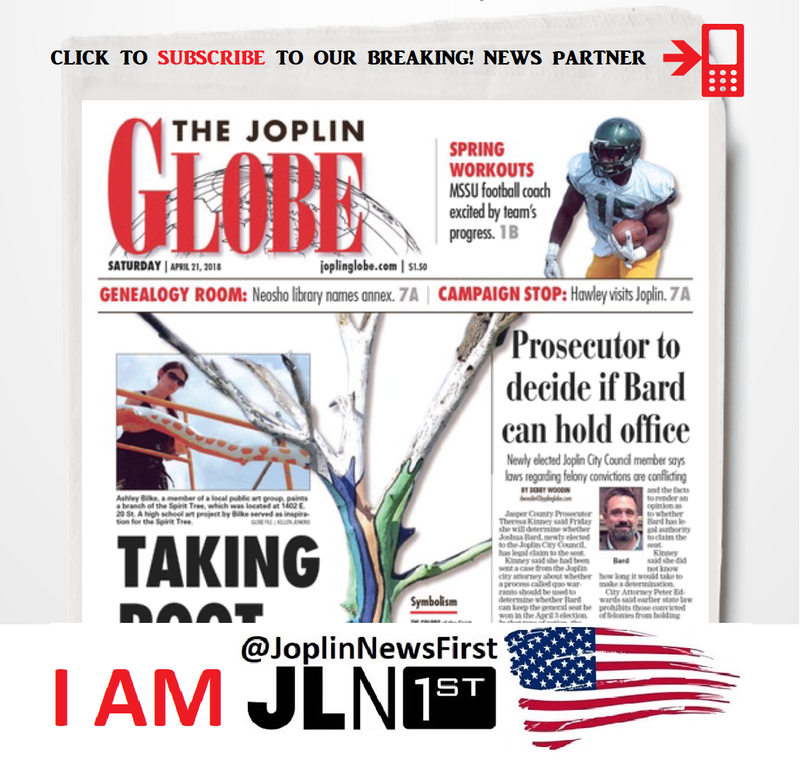 Thanks to our Joplin News First tipsters who text, call, FB, MESSENGER... Jake J/Red Wing Shoes, Joshua C, Hollie, Eric H, LM Jimmy, Stacey P, Falecia, Leisa, Paula, Allan, Angie, Ashley, Joe, Nancy, Fred, Robert, Tim, Jenn, Stephen, Brooke, James P, Christy C, Julie, Amanda, Saline, Andy, Amy, Dominic, Todd, Travis, Shelby, Marie, Dee...and dozens others unnamed and on the text line - Today you are Joplin News First! Thank you – Newton County Sheriff's Office/Sheriff Chris Jennings and his deputies, @JPD_chief Chief Matt Stewart, Joplin Police Department and the Joplin SWAT, Newton County Ambulance District, Joplin Fire Department. Another wanted and dangerous man is in custody tonight.